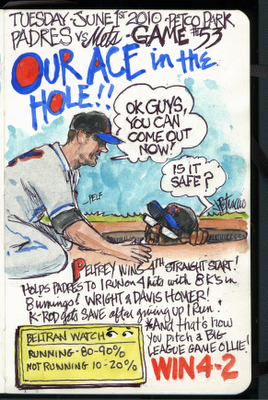 My Mets Journal: P-E-L-F-! PELF! PELF! PELF! Great drawing! I really enjoy seeing your work! Keep up the good work! 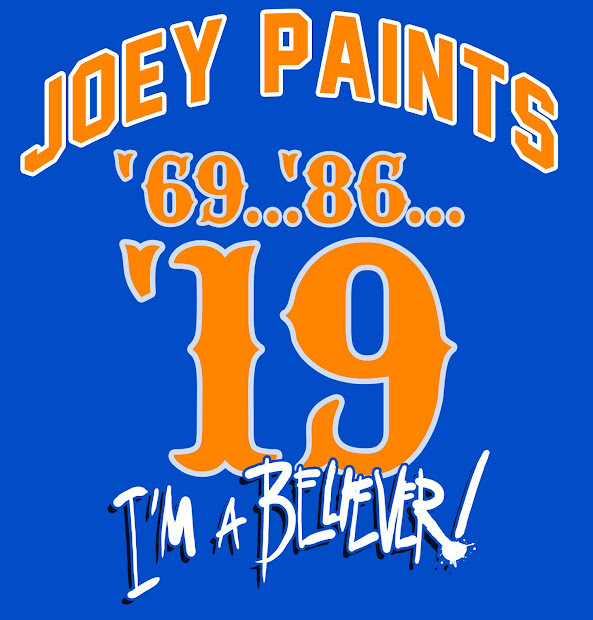 That's exactly how I feel when the Mets are on the road. 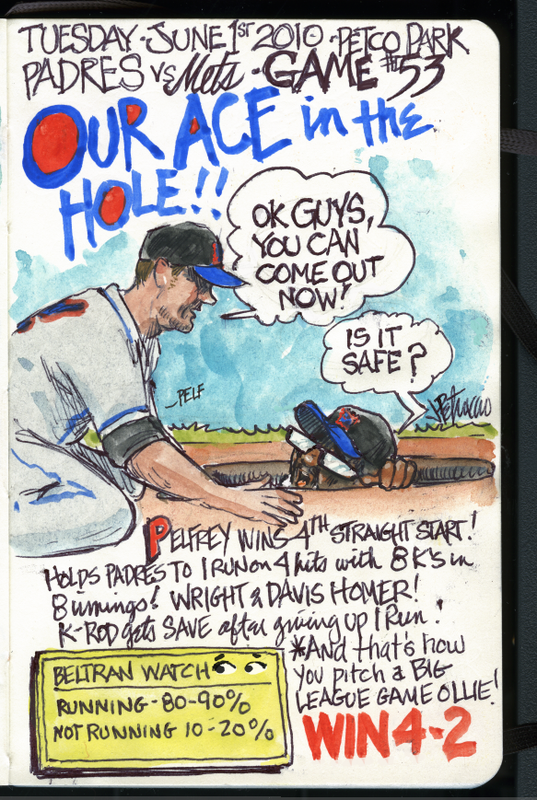 In a hole.. wondering if we will ever turn road games into wins..
Well, this was a good start and hopefully we can score a few runs for Johan! More coffee, more coffee, more coffee. Game ends at 1 AM, get up at 5 AM for work. Worth it to see that guy take the slider for strike 3. You nailed Pelfry's nose!!! Great drawing! Great recap, as always Joe! You know the funny thing is for the 1st time I wasn't wondering how you would record the moment but rather I was wondering how happy you must be to be able to actually write something other than "still walking" in the Beltran Watch. "sing to tune of pants on the ground"
Great work, Joe. AS...... ALWAYS. What a beautiful Voice you have Eli! Wish I thought of adding that touch.